By dimming, you can save up to 20% of the electricity costs of lighting. With dimming you can also create a magical atmosphere - perfect for a party, to read or to watch a movie. Today we come across all kinds of different light sources, making it relatively difficult for the average person to keep track of them all. 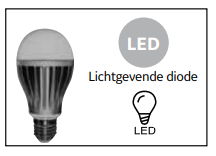 So in the next section we will try to explain which light sources you will find exactly on the market and how you can arrange and / or dim them. Individual light sources vary depending on how they work - and we assign a 'tax' to each of them. 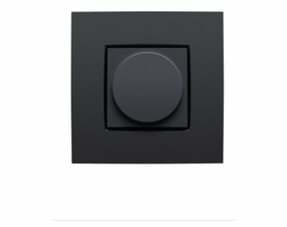 Tax information is important when selecting the right dimmer for your lighting. R - With an ordinary light you will mainly encounter resistance loads. The entire process works according to the principle of heating a thin filament mostly of tungsten, with an electric current flowing through it. L - This is an inductive load which is mainly characteristic of low-voltage halogen lamps (12-24V), which are controlled by a wound transformer, the principle of which is that the voltage passes through the coil. 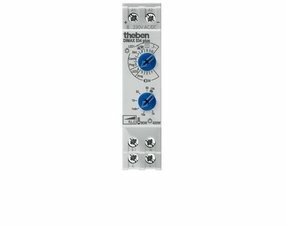 By lowering the voltage at the input, we also simultaneously change the voltage value at the output, making dimming possible. C - This is a capacity load that is particularly characteristic of energy-saving lamps, fluorescent lamps or halogen lamps that are controlled by an electronic transformer. The principle is based on an electrical ballast, which makes the lamp brighter or darker. 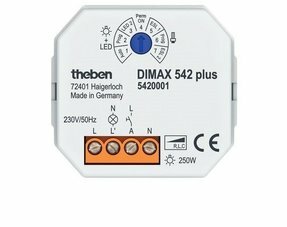 A dimmable transformer is used for dimming. 1-10V - This type of control depends on the so-called dimmable pre-switch with input for 1-10V. 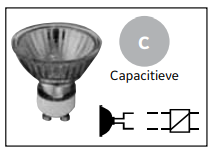 The product is thus connected to this input with the output of 1-10V, so that brightness can be controlled within this range. These are mostly fluorescent lamps with dimmer tubes. LED - A Light Emitting Diode (LED) is an electronic semiconductor device that emits visible light. In recent years they have replaced the lamps in cars, street lighting and household appliances and their popularity as active home lighting is constantly growing. The basis of the LED is the P-N connection. The actual LED chip is often connected to a cooler to efficiently remove the waste heat from the chip and is covered with an epoxy capsule. This design makes LEDs mechanically very resistant. It is even more effective than a compact fluorescent lamp - and is up to 15 times more efficient than a conventional light bulb. 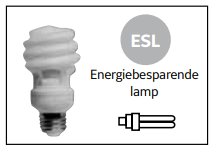 ESL - Energy-saving lamp, often called a compact fluorescent lamp. In his design it is a capacity load, but for a better separability of this type of light source, a special name has been made for it. The principle is a glass tube with heating electrodes filled with mercury vapor, in which the discharge takes place. This falls on the walls of the tube covered with a luminophore - and the lamp lights up. Disadvantages of this lamp are the sensitivity to frequent switching on and off and the luminous flux that decreases over time.